March 2015 | Florida Law Advisers, P.A. A husband or wife can file for alimony in Florida without getting divorced. Spouses have a legal duty to provide financial support to each other. Spousal support (alimony) can be required even if the couple is separated and no longer living together but have not yet divorced. Spouses are under an obligation to provide financial support approximate to that which has been established during the marriage. See Astor v. Astor. The policy behind alimony is to alleviate the financial disparity between the two parties. When determining if alimony should be awarded, Florida family law courts look at one spouse’s ability to pay alimony vs the other spouse’s need for alimony. If alimony is awarded, the alimony payment should be an amount sufficient to support the spouse’s standard of living. 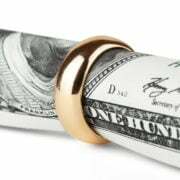 For information about the amount, duration, and process for alimony in Florida without getting divorced contact a divorce attorney in Tampa. Under Florida Statute 61.09, a spouse may be required to pay alimony in Florida without getting divorced. Florida does not recognize legal separation; therefore, if a couple is separated alimony may still be required. Unlike alimony in divorce cases, alimony under this statute recognizes the continuation of the marriage and the continued right of a spouse to participate in the other spouse’s estate, as well as the possibility of a reconciliation. See Wood v. Wood. Alimony in Florida without getting divorced is subject to the same two-part test that is applied in a Florida divorce case. The party seeking alimony must show that their income potential is insufficient to fund a lifestyle comparable to that of the marriage. Secondly, the spouse must show that the other spouse has the financial resources to pay the requested alimony. All forms of alimony available in a divorce case will also be available when filing for alimony in Florida without getting divorced. For more information on the types of alimony that are available in Florida contact a Tampa divorce lawyer. In order to be eligible for a divorce in Florida at least one of the spouses must be a resident of Florida for the 6 months preceding the filing of the divorce petition. However, there is no residency requirement for seeking alimony under Florida Statute 61.09. See Wachsmuth v. Wachsmuth. Further, there is not even a requirement that the couple live apart before the court can order alimony. Moreover, there is no requirement that the party to pay alimony be at fault for the separation. However, if both parties have not lived in Florida as a married couple, there may be issues regarding personal jurisdiction. If the Court lacks personal jurisdiction it will not be able to compel a part to act, such as paying alimony. A divorce law firm in Tampa can help evaluate your case and advise of any potential concerns that may arise. If you are seeking alimony or trying to prevent being ordered to pay alimony contact Florida Law Advisers to speak with a Tampa divorce attorney. Every divorce and alimony case is different, and our vast experience allows us to cater our services to each client’s individual situation. With years of experience in litigation, we are more than ready to present a compelling case on your behalf and stand firm for what is fair. If you would like to speak with a Tampa divorce attorney at our firm call us today at 800 990 7763 to schedule a free consultation. Florida is a judicial foreclosure state, that means the bank must go to court and receive court approval before foreclosing on a home located in Florida. Therefore, a homeowner will have the opportunity to stop foreclosure in Florida by challenging the bank’s case. Not all states are judicial states, only 22 states require a judicial foreclosure process. There are many defenses that may be applicable to stop foreclosure in Florida, including procedural failures by the bank and substantive legal defenses. Homeowners facing foreclosure should contact a Tampa foreclosure lawyer for legal advice right away. Failure to timely raise defenses in a foreclosure case may result in a homeowner waiving their right to stop foreclosure in Florida with affirmative defenses. The Florida Consumer Collection Practices Act (the Act) is intended to prevent both debt collectors and creditors from using certain types of abusive, deceptive, and misleading debt collection tactics. The Act applies to any person or debt collector (including servicers and banks collecting a mortgage loan). See Gann v. Bank of America. If you can prove your lender is subject to the Act, you may be able to stop foreclosure in Florida and sue your lender for violations of the Act. However, this area of the law is constantly evolving and can be very complex, it is highly recommended to retain a Tampa foreclosure lawyer to assist you in these matters. A common mistake mortgage lenders make is failing to properly advise homeowners that the mortgage loan has been transferred. Mortgages are frequently sold and transferred to other financial institutions. Under the Act, notice must be provided to the homeowner each and every time the mortgage is transferred. Under Florida Statute 559.715, the new mortgage company must give the homeowner written notice of the assignment “as soon as practical after the assignment is made.” Additionally, the notice of assignment must be sent at least 30 days prior to any action to collect the debt. Failure to timely provide the requisite notice, may stop an ongoing foreclosure in Florida. Another part of the Act prohibits creditors from attempting to enforce a debt when they know the debt is not legitimate. See Florida Statute 559.72. If the homeowner can prove a violation of the law, the bank will be liable for the damages the homeowner suffered as a result of the violation. Additionally, the bank may be liable for $1,000 in statutory damages above and beyond the damages to the homeowner. Further, the bank may even be held responsible for reimbursing the homeowner for any attorney fees they spent in bringing the lawsuit. Obviously, this section of the Act can also be used to stop foreclosure in Florida. If the debt is not legitimate, the bank should not be entitled to foreclose. Child support is defined as a court ordered obligation of financial support for the care, maintenance, training, and education of a child. Child support is the responsibility of every parent, regardless whether the two parents are married, divorced, or never married. Under Florida child support law, parents are not able to waive child support obligations. Parents of a minor child have a legal and moral duty to support and maintain their child. See Finn v. Finn. However, parents are allowed to stipulate and agree to the amount of child support, so long as the amount is in the best interests of the child. See Fox v. Haislett. The agreement can also include retroactive child support in Florida. 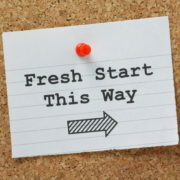 Agreements on retroactive child support in Florida are subject to approval by a Florida family law court a Therefore, if you are able to reach an agreement with your child’s parent you should contact a child support attorney in Tampa for advice on whether or not the agreement will hold up in court. Under Florida child support law, a parent has the right to seek retroactive child support. For instance, if a child is born out of wedlock and paternity was proven when the child turned 12 years old, the court can order the father to pay retroactive child support in Florida. The retroactive child support will date back to when the parents did not reside together in the same household with the child. However, the period for the retroactive child support in Florida must not exceed 24 months preceding the filing of the petition for child support. A child support attorney in Tampa can assist with preparing and filing the petition for retroactive child support in Florida. Prior to the enactment of the retroactive child support law, back child support for paternity cases was not limited to 24 months and could go as far back as to the birth of the child. The statute on retroactive child support in Florida was enacted in 1998. Therefore, if a child was born prior to 1998 the amount of back owed child support will not be limited to just 24 months. See Harris v. McKinney. In these cases, the mother may seek child support dating back to the date the child was born. Additionally, the mother may be able to sue for retroactive child support even after the child is over the age of 18. See Campagna v. Cope. The amount of child support to be paid is based primarily on the Florida Child Support Guidelines. The Guidelines outline how much child support will be required by each parent based on their net income and the number of children involved. In retroactive child support cases, this can be very difficult because the parent’s income may have fluctuated during the period child support should have been paid. For instance, if the parents had incomes that varied weekly during the 24 months, the court may have to make individual determinations for each week during the 24 month period. All payments made by the father or third parties for the benefit of the child throughout the proposed retroactive period can be factored into the amount of child support owed. Additionally, the court must consider allowing a payment plan for the amount of retroactive child support to be paid. For more information on the amount of retroactive child support in Florida contact a Tampa child support attorney. An experienced child support law firm in Tampa can make a big difference in a child support case. 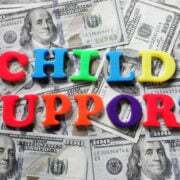 If you are owed back child support, seeking to modify a child support order, or need to defend against an unjust child support request contact Florida Law Advisers to speak with a Tampa child support attorney. Our professional legal team is passionate about these matters and will work diligently to fight for what is fair. With our experience in family law litigation we are more than ready to present a compelling case on your behalf and to stand firm for what is fair. Call us today at 800 990 7763 to schedule a free consultation, we are available 24/ 7 to answer your calls. The rising cost of health care is proving to be a tremendous burden on families. In fact, most people file bankruptcy because of medical bills. A study by the American Journal of Medicine, found that 62.1% of all bankruptcy cases are attributable to medical reasons. Further, the study found that 92% of the people filing bankruptcy for medical reasons had over $5,000 in medical bills. Bankruptcy is often used in these circumstances and can be a very important resource for people overwhelmed with medical bills. However, filing bankruptcy because of medical bills is not the right solution for everyone, you should consult with a Tampa bankruptcy attorney for advise about your specific situation. Can Medical Bills be Wiped out in Bankruptcy? Most medical bills will be dischargeable in bankruptcy. If a debt is discharged in bankruptcy the borrower (debtor) will be released from all personal liability on the debt. The discharge is a permanent court order releasing the debtor from the responsibility of having to pay the debt. Further, the discharge prohibits a creditor from taking any collection action against the borrower. Therefore, filing bankruptcy because of medical bills can be helpful because you may obtain a discharge of the debt. In most cases, obtaining a discharge will be the primary reason why a borrower files for bankruptcy. However, not all debts will be eligible for a discharge in bankruptcy. Therefore, if you are considering filing for bankruptcy you should speak with a Tampa bankruptcy attorney before taking any legal action. Medical bills are almost always unsecured debts. Unsecured debts are loans in which the debtor does not provide any collateral for the loan. Common examples of unsecured debts are credit cards, medical bills, student loans, rent, and gym memberships. On the other hand, secured debts are loans in which the debtor provided collateral, such as a home mortgage or car loan. The classification between unsecured and secured debts is very important in determining whether or not filing bankruptcy for medical bills will be helpful. The discharge of debt in bankruptcy is only a discharge of the personal liability of the debtor. See bankruptcy law 11 USC 524. If the debt is secured by collateral the lien on that property will not be wiped out in bankruptcy, only the debtor’s personal liability to pay back the money is discharged. For instance, if a home mortgage is discharged in bankruptcy the bank can still foreclose on the home; however, the borrower will not be liable for any money or deficiency balance to the bank. Often, in a Chapter 7 bankruptcy because of medical bills the medical debt becomes discharged without the debtor having to pay anything. Chapter 7 bankruptcy is also known as a liquidation bankruptcy because the debtor may be ordered by a bankruptcy court to sell certain assets as a condition of the bankruptcy. However, not all of a debtor’s assets will be subjected to liquidation by the bankruptcy court. Florida bankruptcy law provides exemptions for many of the assets a debtor might own. If an asset is exempt from liquidation the borrower will not be required to sell the asset as a condition of filing bankruptcy because of medical bills. In many Chapter 7 cases all of a debtor’s assets will be exempt, and the debtor will not have to sell any of their property as a condition of the bankruptcy. For more information on which assets may be exempt in Chapter 7 contact a bankruptcy attorney in Tampa or click here. Filing Chapter 13 is very different than a Chapter 7 bankruptcy because of medical bills. Chapter 13 is a restructuring bankruptcy, instead of selling assets to pay creditors the debtor creates a payment plan to pay back the amount owed. In Chapter 13, unsecured debts have to be paid the amount of money they would have received if the debtor filed for Chapter 7. Therefore, the amount, if any that will be paid for medical debts in Chapter 13 depends on the specifics facts of each bankruptcy because of medical bills case. In some Chapter 13 cases, the debtor will not have to pay anything towards their medical bills. On the other hand, in some cases the debtor may have to pay a significant portion of the medical bills in the Chapter 13 payment plan. For information about any specific case or set of circumstances contact a bankruptcy lawyer in Tampa. The information about bankruptcy because of medical bills contained in this article is for general purposes only and is not legal advice for any individual case. At Florida Law Advisers, we understand that filing for bankruptcy because of medical bills can be a very confusing and intimidating process. That is why we work so hard to make the process as easy as possible for our clients. When you hire Florida Law Advisers, P.A., you get an experienced Tampa bankruptcy lawyer by your side throughout every phase of the bankruptcy process. We will help ensure your rights are protected, keep you well-informed every step of the way, and help you receive the utmost protection bankruptcy can offer. Regardless, if you need help with Chapter 13, Chapter 7, or other debt relief our professional legal team will provide you with competent legal advice you can trust. To schedule a free consultation with a bankruptcy attorney in Tampa, call, email, or fill out an online inquiry on our website today. In Florida child custody cases, parents will be required to submit a parenting plan for court approval. The parenting plan outlines how the parents will share the custody, responsibilities, and decision-making authority for the children. Once approved, it will be binding and sanctions can be issued if it becomes necessary for a judge to enforce a Florida parenting plan. If your child’s parent has failed to comply with the parenting plan you should contact a child custody law firm in Tampa for assistance with how to enforce a Florida parenting plan. The legal action to enforce a Florida parenting plan should be based on the specific facts of each case. A child custody attorney in Tampa can help advise on your specific circumstances. There are many different types of sanctions (penalties) a Florida family law court can order in a case to enforce a Florida parenting plan. The penalty most often enforced by a family law court is a sanction that requires the parents to offset the missed visitation. In fact, Florida family law requires the court to “award the parent denied time a sufficient amount of extra time-sharing to compensate for the time-sharing missed.” Further, the expenses for such time-sharing adjustment must be paid in full by the noncompliant parent. The noncompliance does not need to be caused by a willful disregard for the parenting plan. Rather, a parent needs only to prove the other parent failed to comply with the parenting plan without proper cause to enforce a Florida parenting plan. See Florida child custody case Cummings v. Cummings. Generally, a parent should not retaliate or resort to self-help when the other parent fails to comply with the parenting plan. Instead, a case to enforce a Florida parenting plan should be filed in a court of law. A parent’s noncompliance does not permit the other parent to take matters into their own hands and disregard their own obligations under the parenting plan. Further, withholding child support payments or alimony is not permitted as retaliation for failure to abide by a parenting plan. See Florida v. Lemaster. This holds true even if the noncompliance is willful and intentional. If a parent has failed to comply with the terms of the parenting plan you should contact a child custody law firm in Tampa for assistance. Under Florida family law, a child custody order or parenting plan can be modified if there has been a substantial, unanticipated change in circumstances and the proposed change is in the child’s best interests. In some cases, failure to abide by a parenting plan may be deemed a substantial change in circumstances that would justify a parenting plan modification. However, parenting plans cannot be modified without first providing adequate notice and conducting a court hearing on the matter. Therefore, a case to enforce a Florida parenting plan will likely have to be filed in Florida family law court. 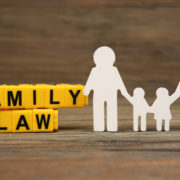 Modification of parenting plans as a sanction to enforce a Florida parenting plan is normally a last resort, the court will typically exhaust some of the other sanctions prior to modifying the parenting plan for noncompliance. See Rahall v. Cheaib-Rahall. Further, any modification based on noncompliance must also be in the best interests of the child. However, there may be other legal grounds to modify your parenting plan. For legal advice on modification of a parenting plan contact a child custody attorney in Tampa. A skilled child custody law firm in Tampa can make a big difference in an initial child custody case or to enforce a Florida parenting plan. If you are seeking to enforce a Florida parenting plan or trying to prevent a unjustified enforcement claim contact Florida Law Advisers, P.A. to speak with a child custody attorney in Tampa. With years of experience in litigation, we are more than ready to present a compelling case on your behalf and to stand firm for what is fair. We understand how important child custody matters are and work tirelessly to protect our client’s rights and do what’s best for the child. If you would like to speak with a child custody lawyer in Tampa call us today at 800 990 7763 to schedule a free initial consultation.